I wasn’t totally sure that a trip to Italy the weekend before the marathon would be the best idea. I had visions of diligently foam rolling and drinking protein shakes in front of the TV, focused on recovery and preparation. Instead, I found myself drinking wine and gobbling pizza with my husband and two friends…but I’m very glad I did! 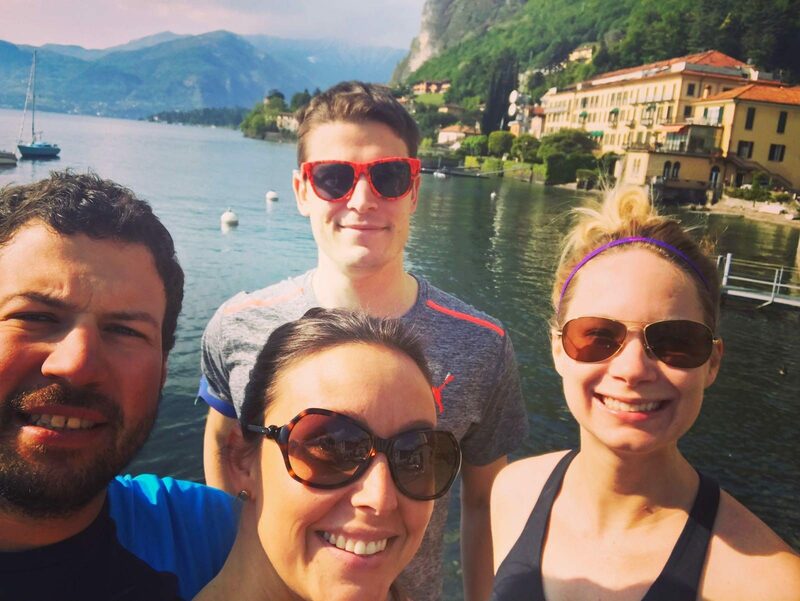 With the Bank Holiday on Monday, we took the opportunity to book a somewhat last minute trip to Lake Como. While we talked about it several times, we didn’t actually spring into action until the week before. After a busy day at work, I packed in a flurry on Friday night, ensuring my running kit was packed first, even ahead of my passport. #Priorities. Given that we’re in the midst of the marathon taper ahead of the Geneva Marathon, we only had an 8 mile run on the agenda. Luckily, we have cool friends who like running and said they would join us. Fueled by an evening of yummy pasta and red wine, we decided Sunday morning would be the perfect opportunity to explore the area on foot. It also happened to be Clare’s birthday, and I am a firm believer in a birthday run. It’s been a tradition of mine for many years and happily, she was on board. 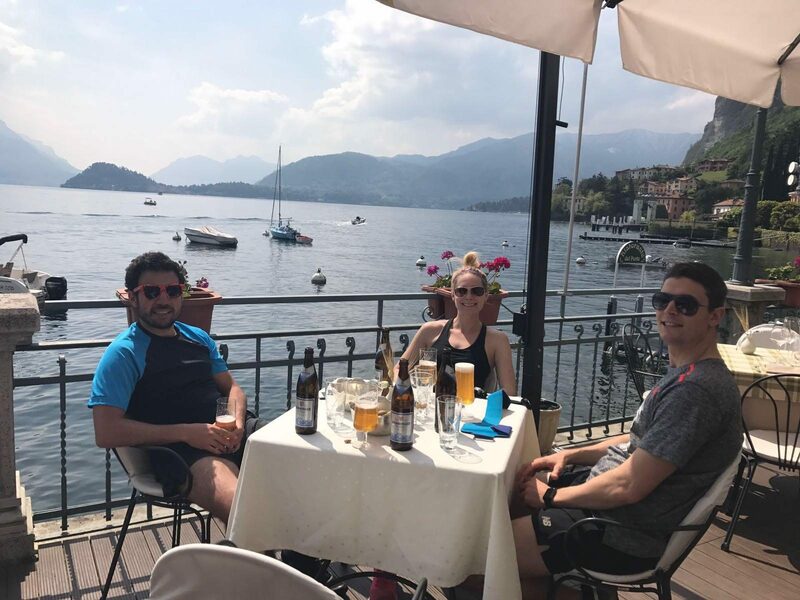 After verifying our route with the hotel staff several times, we were reasonably convinced we could run along a foot path / bike path, hugging the coastline all the way from Menaggio, where we stayed, to a town called Aquaesria, about 5km away. Off we went, hopeful we could remain lakefront, and not accidentally end up on a highway. Thankfully, the hotel staff did not lead us astray. The run was absolutely perfect. It was a completely stunning route with a safe, pedestrian-friendly road, nearly the whole way. The sun was shining, but the air still had a hint of a cool breeze, making it perfect running temperature (Also a perfect way to get a sunburn! Whoops!) The snow-capped mountains loomed majestically in the distance and the lake sparkled in the late morning sunshine. It was basically the best run ever. We kept a nice, gentle pace. It was lovely to run with a little group. I have done so many of my long training runs alone, I forgot how nice it is to run in the company of others, and at a pace slow enough that we could chat along the way. Once we got back to the hotel, Graham and I carried on in the other direction to make up our 8 miles total. It was decidedly less pretty than the route to Aquaseria. We met back at the hotel to enjoy a cold beer on the patio. Absolute perfection. 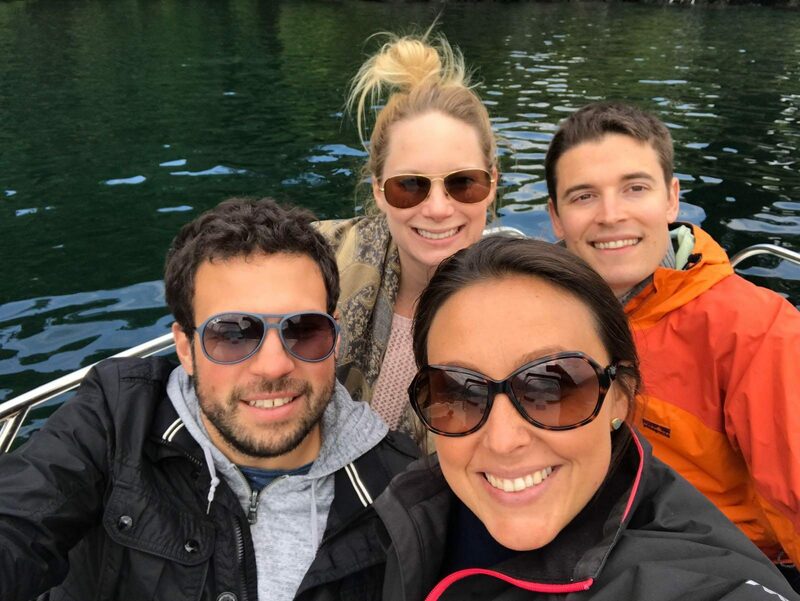 Later that day, we hired a boat, got some fresh pizzas and some prosecco and spent the afternoon cruising around Lake Como looking at villas. I was pretty pleased with our life choices that day. Sunday’s run was an absolute pleasure. After so many tough training runs, it was exactly the kind of run I needed ahead of the marathon. 1 more run and 4 days to go! Thank you! I’m looking forward to a good race… as long as it doesn’t rain! Eeeep! Any chance you’ve got a Strava map or similar of this run handy? 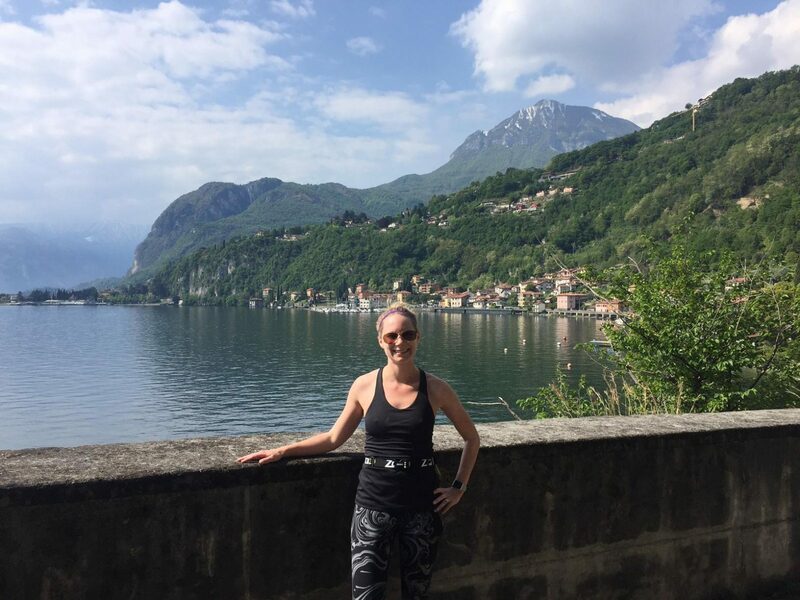 I’m planning a long run while in a lake Como over the weekend and don’t want to find myself running on a highway or accidentally up a mountain! Hi Rachel! I’m so sorry for the delay replying! I just got back from a two week trip to Australia. 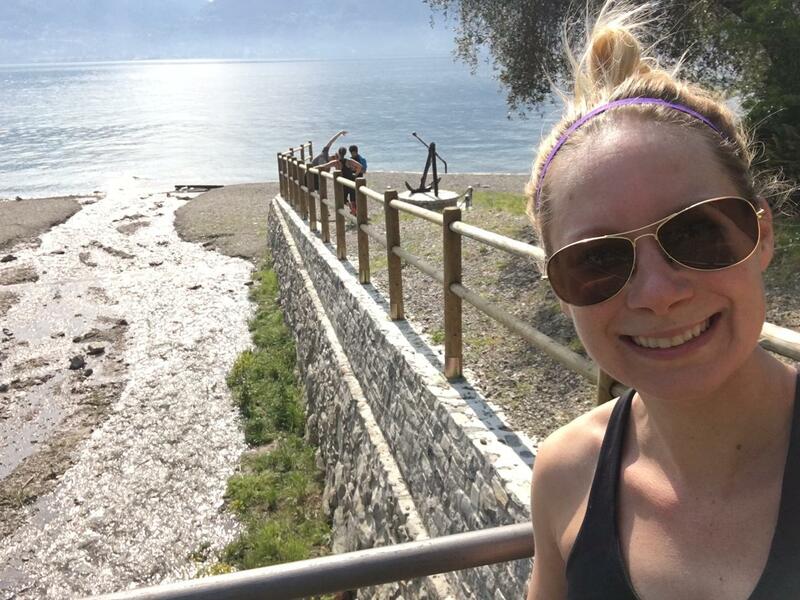 We literally just ran along the coastline from Menaggio, where we stayed, to a town called Aquaesria and back. It was about 8 miles total and was mostly on a paved path. We were only on a road for a few minutes and it was not very busy. I realise that you’ve probably already gone on your trip and returned so I hope the run went well!